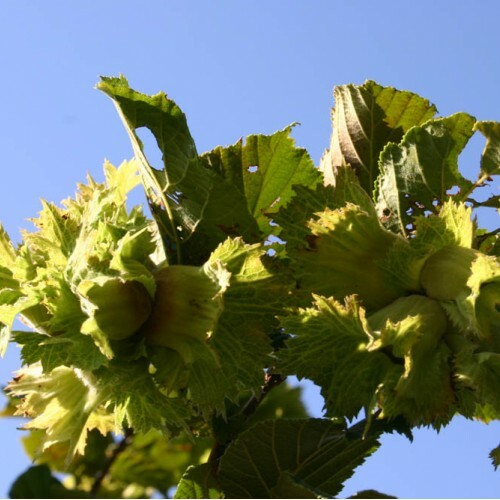 'Precocious' represents our most productive and disease resistant hazelnut strain with larger nut size and a thinner shell than the American hazel. 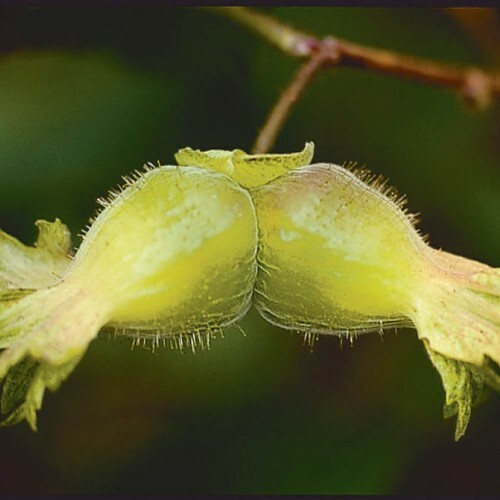 These were selected from both filazels and hazelberts grown over the course of 20 years from trying to establish hazel nut hedges. To do this we had to remove many thousands of seedlings that were not immune to filbert blight-the great equalizer in growing hazelnuts in the east. Our vigorous seedlings produce in 3 to 4 years from seed and grow 2-3 ft. in one year on established plants. Once the plants reach 20 years old the root system is extensive and the plant can produce up to 10 lbs per plant easily. Plants can be planted like a hedge 3-5 ft.apart or in singles 10-20 ft. apart. 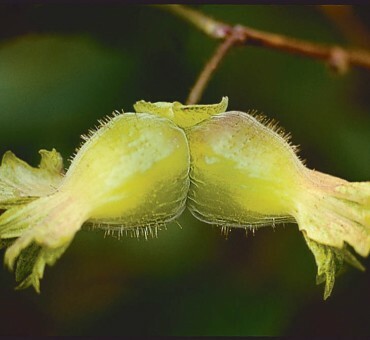 For pollination purposes plant two Precocious or have another American nearby to ensure pollination. 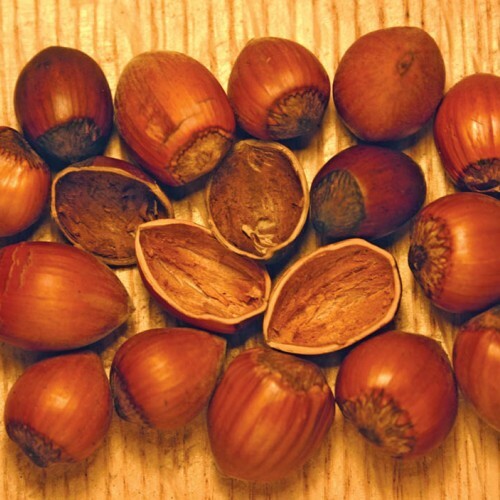 This hazelnut is a seed strain created by using open pollinated plants over the course of two decades and is not a clonal selection. 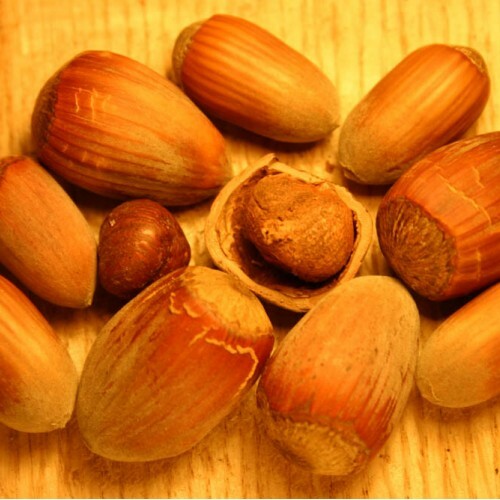 This was a means to create a stable hybrid population with larger nut, immune to filbert blight and cold tolerant to -30 F. Cannot ship to OR,WA. Currently in production for fall of 2019. Should be a good crop! Self infertile. Need two plants of the same or another American type. Likes slightly acidic soil , loam or sandy loam. Does best in cooler climates Zones 3-8. Not a hot dry desert plant. Grows well and fruits quickly. 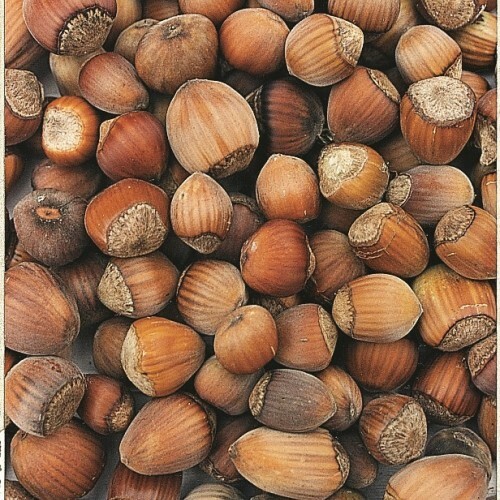 Collect the nuts in the husks as they ripen from green to brown to beat the squirrels.